Would you like to learn a new craft? Have you always wanted to make beautiful heirloom quilts? Then you need to come along and learn the basics of modern patchwork with our patchwork & quilting tutor Emma. This class is aimed at the complete beginner although knowledge of how to use a sewing machine would be advantageous. Discover how to use a rotary cutter to cut fabric and sew blocks together using an accurate 1/4″ seam. Learn how to piece a basic block and see examples of how you can use them. 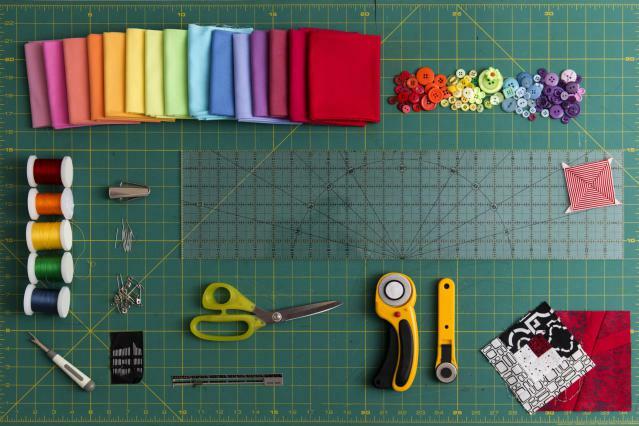 Just bring your own craft cotton fabric and a simple sewing kit. Rotary cutters and mats are available to use on the day and we have them to buy in store if you get the bug!!! !